Sunbeam Reddick 8 Piece Cookware Set, Red Giveaway is presented by Gibson Outlet and the Giveaway is open only for the legal residents of the United States and for those who are at least 18 years of age or older at the time of Giveaway entry period. The Red Giveaway will end on Thursday, 28th June, 2018 at 11:59 PM. The winner of the Giveaway will be selected randomly and the Prize for the winner is Sunbeam Reddick 8 Piece Cookware Set, Red. 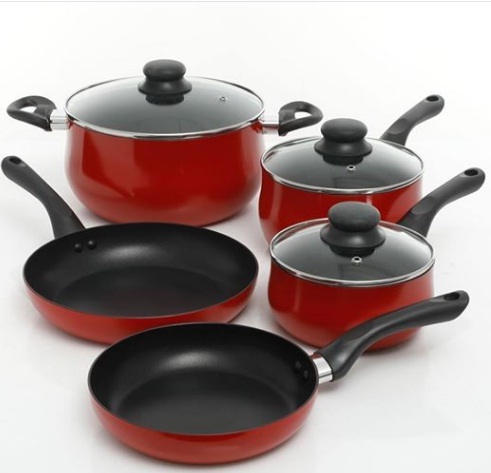 Prize (s): Sunbeam Reddick 8 Piece Cookware Set, Red.